It is well-known that a good student should become better than his teacher. Sounds strange, but this applies to gabling games also if we speak about traditional poker and videopoker. Videopoker became really very popular, but if we compare it with traditional poker, there are a lot of differences in gaming process as well as in the system of payouts and the main is that in card poker the player never knows the exact amount of the gambling gain, but it is known for sure in videopoker. The player can check the costs of different combinations in payout table. Almost all real as well as online casinos suggest videopoker games. It is high-demanded, gambling and exciting game with the rules that aren’t difficult. Videopoker in online casino doesn’t differ from its real casino analogue. Of course the main goal is to win the prize! In videopoker it is possible to do gathering and getting winning combination of cards. The player knows winning combinations from the very beginning and tries to get it. 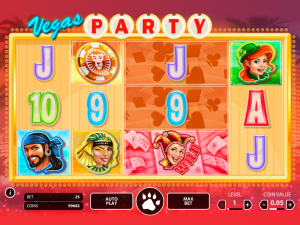 There are no opponents in the game, so the combinations won’t be compared – this is another advantage of videopoker game. After you get your 5 cards, you are to decide which one should be left and which one must be exchanged. As soon as the change is done, the final combination left will be rated and you get the gambling gain according to the payout table. You can also use Auto Hold function that means that the system will decide itself which cards should be left according to the best gaming strategy. Nowadays there are more than one hundred variants of videopoker gameб which you can try at Black Diamond casino, Platinum Play, Villento Flash casino or any other casino. You must admit that the variety is really impressive. It took the creators lots of decades to give player so many variant of the game as the first videopoker game was introduced in 1970. Of course, it is impossible to provide full description of all the videopoker games, but below you can find the list of the most interesting and high-paid games. Jack or Better seems to be the most popular variant of the game. It can be found in most online casinos or earth-based poker-rooms. Return to player is about 99,5% with low dispersion. Pick’em Poker is one of the latest variants. It is best known for its not complicated strategies and good payouts (player’s return is 99,9%, dispersion – low). 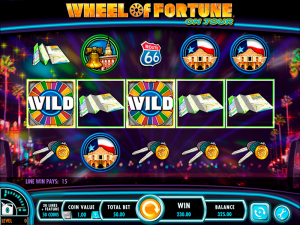 Deuces Wild is one of the most high-paid videopoker game with the return to player that is almost 100,8%. Double Bonus Poker – another high-paid version of videopoker. Its return to player is about 100,1%. But the truth is that in most online casinos only low-paid version of Double Bonus Poker can be found. Double Double Bonus Poker – is a variation of the games mentioned above with high-paid return to player and high dispersion also. Videopoker games with progressive jackpot. These are the games which promise to pay the player progressive jackpot for certain combinations, for example for Royal flash. N.B. the bigger the jackpot is the higher is return to player. Level Up Poker or Multi Strike Poker – this version of videopoker game is really unique as the hand there has four levels. The highest hand is two levels above the lowest one. In order to reach the next level high-paid combination should be gathered (for example, Jacks or Better). But the player’s bet should be played with all four hands and it doesn’t matter if the player reached higher level or not. This game has extremely high dispersion. IGT or Spin Poker is really all the same videopoker game, but the main difference is that the cards are handled with the help of random number generator. Multi-Hand Videopoker suggests the player to player with several hands at the same time. Usually 5, 10 or even 100 hands can be simultaneously played. You are to bet on all the hands, but the win or loss will depend on one hand only. Videopoker is extremely popular game in all the kind of casinos. It is loved by players because it has so high return to player; it makes thinking and polishing the skills up. History of videopoker is heavily tied to history of slot machines. The ‘forefathers’ of poker machines were slot machines. At that time it was really impossible to influence anything and the player hoped only for fortune. Those poker machines worked like slot ones as there were 5 cylinders in them that choose accidental cards. The first videopoker machine appeared as soon as pass-out principle was invented. Since that time the players could influence the course of the game at least a bit. The name of the first poker machine was Skill Draw and it was invented by Charles Fey in 1901. Those five cylinders created poker combination and after that the player could hold some cards, roll cylinders to get the desired combination. In 1970 Dale Electronics Corporation presented the first vidoepoker machine – Poker-Matic. Its screen was very much alike TV screens of that time and machine was quickly set in all the casinos of Las Vegas, but… it didn’t become popular! Later it became clear that people just didn’t trust those electronic machines. Remember, it was in 1970! A little bit later, in 1975, William Redd invented the first videopoker machine and took the patent out of it. And in 1979 Si Redds Coin Machines started volume production of video cards for American casinos. In 1980 the company became public and it is well-known now as International Game Technologies (IGT). Availability – it became possible to play poker not only in casino, but also in supermarket, airport and in lots of other places. High payouts – return to player was always one of the most important aspects of the game. If you know how to play classic five card poker, you will become familiar with videopoker easily. The main principles of the games and their rules are almost 100% identical. The game is managed with the help of special buttons. Interface of the game is simple and clear. All the necessary information is shown on 3 main indicators – bet (current player’s bet); credit (sum of the credits on account); win (sum that was lately won). The game is begun with placing the first bet. It can be done with the help of ‘Bet One’ button. Every time it is pressed one credit is added to the bet. You can also place maximal bet with the single button ‘Bet Max’. As soon as the bet is placed ‘Deal’ button should be placed for starting the game. After that the player receives his five cards he can exchange. Those cards that shouldn’t be changed should be marked by player. After the next ‘Deal’ the cards that weren’t hold will be exchanged. That’s all! The game is finished! You won if you get poker combination and you lost if you don’t have any. Prize usually depends on the certain poker combination gathered. The rarer and stronger the combination is, the higher payout will be paid. Master the strategy. Choose your own one. 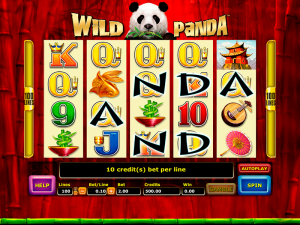 You can start playing the selected videopoker game for free and without registration. After you find your strategy and feel it works for you, you can start playing for real money. Bet no less than 5 credits. If your bet is less than 5 credits, payout becomes more than 15 smaller even you play your ideal strategy.